If you’re searching for solicitors in Coventry and the surrounding area, then with QualitySolicitors you can be sure of getting precisely the expert legal advice you need along with a high level of customer service too. Just choose your nearest branch, and let us do the rest; we’re friendly, approachable, professional, and we work quickly and efficiently at all times. Call any branch or our national freephone number 08082747557. Coventry is a city in the West Midlands, England. 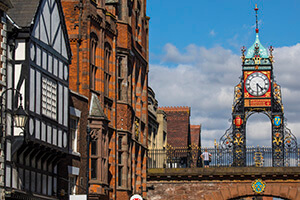 With a population of around 360,000, Coventry is the 9th largest city in England, and the 12th largest in the UK, it’s also the most central city England. In 2017, Coventry won the UK City of Culture 2021, beating competitors Paisley, Stoke-on-Trent, Swansea and Sunderland. Coventry is also a university city, with two universities, the Coventry University and the University of Warwick on the outskirts of the city. During the Second World War, Coventry suffered heavy bombing from the Nazi’s leaving significant damage to the city. After the war ending, significant rebuilding was required, which resulted in further housing developments, which expanded the city. Coventry is an important industrial centre, and was responsible for a significant amount of car production during the 1950’s and 1960’s.